The next prompt of Kristin’s Ten Day You Challenge makes me happy. I love to travel, though I haven’t done enough of it in my lifetime. These are six (of the many) places I would love to go — the sooner the better! 2. England. I’m an English teacher. Of course I want to go to England and see where Shakespeare and Dickens and some of the other greatest writers lived. 3. Italy. Food, history, boats, wine, sights. I like all these things. 4. Costa Rica. Beaches and lots of adventures? Sign me up. 5. Pretty much anywhere in the Caribbean. I don’t care where. You recommend an island for me, okay? 6. Maine. Because I needed on U.S. place on the list and there are many places in the States I still need to see. I’ve never been to the northeast corner of the country, and it looks like there are lots of fun things to see and do in Maine. It’s hard to stop at six! I want to go to ALL THE PLACES. What’s near the top of your “Places I Must Go” list? Have you been to any of these six places? Tell me about them! Let’s travel together, I want to go to all those places too. Especially Ireland. Two gingers touring Ireland.. or we could run through it 🙂 I have been to Italy and that is amazing awesome. I would go back there in a heartbeat. Yes! 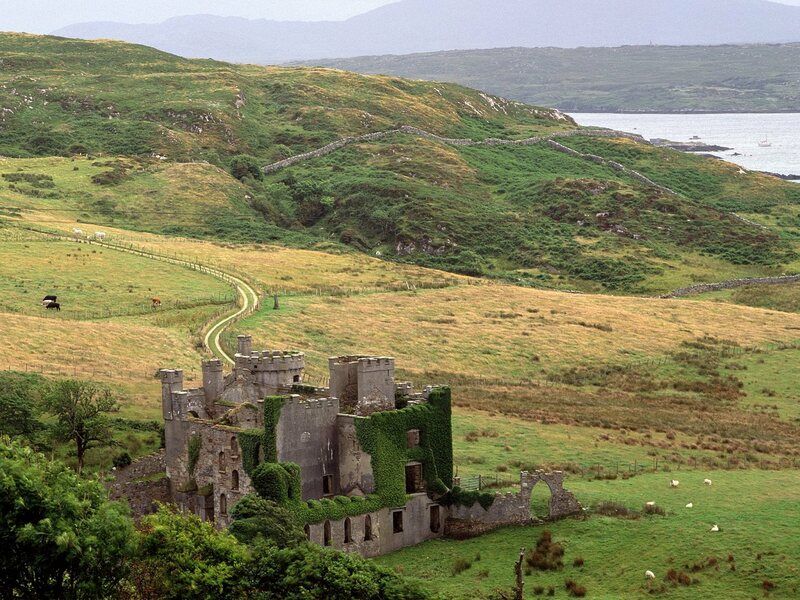 Let’s go to Ireland! I have not been to any of these places but I definitely would like to go. I have never been anywhere tropical, so that is at the top of my list- mainly Hawaii. Other places in the US on my list: FL (never been- unheard of for a Pennsylvanian), Grand Canyon, Colorado (again) Southern California, Oregon, Alaska. We did Hawaii for our honeymoon… so fun! I have only been to Maine on your list! But they all look very worth the trip 😉 Maine reminds me of Canada’s East Coast….except Dunkin Donuts. We don’t have that here…lol. I agree! I want to go to ALL THE PLACES!! My sister and aunt went to Ireland a few years ago, and they absolutely adored it. Maine is very near the top of my U.S. list. I’ve never been up in that part of the country either, and I’d like to see what the hiking is like in that part of the country. England absolutely tops my list. I’m a history teacher and obsessed with all things English history. I would be just a little bit hard to handle if I ever got to go! We should go to England together and be teacher nerds! Oh, you should do a post about Maine after you go! We’re thinking about going there next summer, so I’ll let you know if we do. 100% St. John! I’ve been there a few times and it is the VERY best caribbean island.